‘Jelly legs’ are a thing of the past for MS sufferer Sharon Kane. It’s all down to Serrapeptase, she told me when we spoke this week on her 34th birthday. 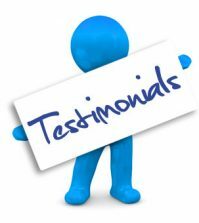 She’s grateful she discovered Serrapeptase following a bad experience with her consultant who told her that although there were tablets that might help, funds would not allow supplying them. A single mother and full time secretary, Sharon is an abject lesson for those who allow illness to take over. “I’m lucky that mine is a mild strain of MS and, also that I have wonderfully supportive parents. While I’m working, they care for my 10-year-old daughter. And it was Mum and Dad who heard Dennis the Chemist talk about Serrapeptase and suggested I try it. Sharon did try it and a year later her response is unequivocal. Mrs Dobson has suffered from MS for 16 years. Mr. & Mrs. Dobson run the Cairnryan Caravan and Chalet Park almost single-handed. It is important they look after their health and remarkable that in spite of the fact Mrs Dobson has suffered from MS for 16 years they have not as yet had to employ substitutes. I now feel brilliant. Everything has improved. Not so long ago Mrs Maureen Rooney threaded a needle and sewed on a button. So what? I hear you say. In fact, this was a huge achievement in her 16-year battle against MS. It has involved years of dedication to a health regime. Every week Mrs Rooney undergoes hyperbaric oxygen treatment and uses a Chi machine daily. But it was her discovery of Serrapeptase that has made a dramatic difference to her life. At that time I was concerned about one of my little fingers. It had turned white and was curling backward. I was terrified, believing it was on its way out. When you have a terrible disease like this you will try anything. I started taking Serrapeptase 9 tablets a day. It has been a Godsend. Within 5 days my finger was back to normal and I now feel brilliant. Everything has improved. Since last June I have had no relapses, the tightness in my spine that indicates the presence of MS has gone, as have the constant pins and needles in my fingers. My balance has improved and what is perhaps best of all, the old confident pre MS me has returned. Of course I get tired but this is because I stretch myself relying on my newfound energy. I know I am not cured but the condition is hardly noticeable, so much so that I consider I have not got MS at present. I no longer need the hyperbaric treatments and have given up my slot in favour of someone who needs it. Recently, I went out for a social evening and where normally I would have to leave within 30-60mins, this time my son had to drag me away hours later as I was enjoying myself so much. My faith is the backbone of my recovery and I thank god for the little silkworm. “Robert, he estado tomando Serranol casi por dos meses y también comencé el aceite de Krill que reemplazó mi ingesta de suplementos de orac omega. También realicé modificaciones en mi dieta, haciéndola más alcalinizante según lo sugerido por ti. Me he centrado en hacer yoga de 3 a 6 veces por semana. Puedo ver beneficios significativos en mi bienestar, que incluyen una reducción en los síntomas de mi EM. Muchas gracias”.